Charlie, very interesting! 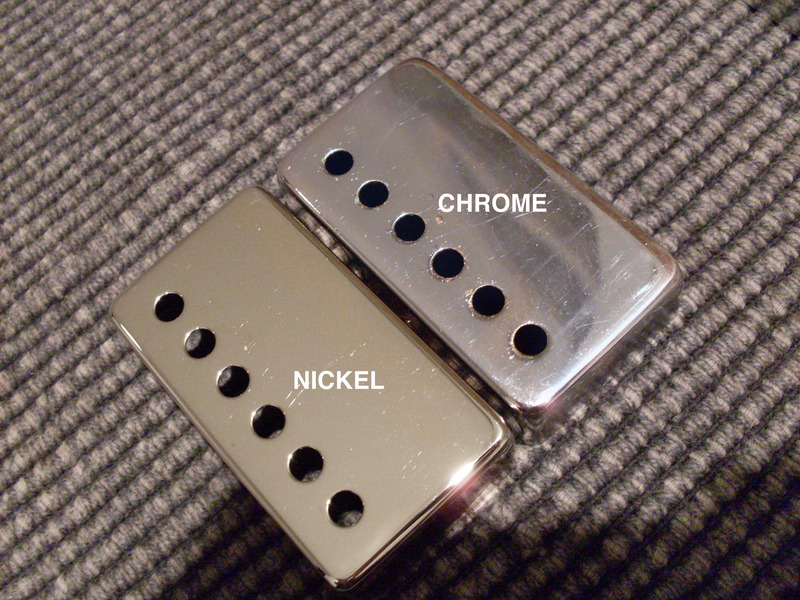 I like to think of and describe the look of chrome as “cold” and nickel as “warm!” To your point I did have a problem once years ago when buying a an ABR-1 tuneomatic bridge from a local dealer. It sure looked chrome but was just mint nickel! However I insisted he dig thru his parts bin and find me a more tarnished nickel bridge that’d match my other parts better! Yes, that works as well. It’s still tricky when you have only a photo though because digital cameras don’t always have the correct color balance. Love the look of brushed nickel pickup covers. PRS used this on some of his guitars. Although having a nickel allergy puts a damper on this love affair. Season greetings Mr Gelber! In your experience, is it true that there’s a nickel finish underneath every chrome finish? Meaning, if one was so inclined (and patient – or perhaps Father Time?) would removing the chrome layer expose a nickel layer? Ever run into any late 60s so beat to hell that the chrome is actually gone (or almost)? Thank you and here’s to another year of spectacular posts as always. There is not nickel under the chrome as far as I know. And chrome pretty durable stuff. I’ve tried to remove it with no luck. There is nickel under the gold covers though and gold is pretty easy to remove. I’ve seen some fairly worn chrome covers but usually, they hold up very well. There is some other metal under there (the metal the cover is actually made of) but I don’t think its nickel. And nickel isn’t even nickel-it’s some alloy of copper zinc and nickel. Usually 60% copper, 20% zinc and 20% nickel. Interesting post as always, did they always use nickel for the gold plates covers? I wonder if less reputable people might strip later gold pups of the gold and pass them off as early nickel covers? 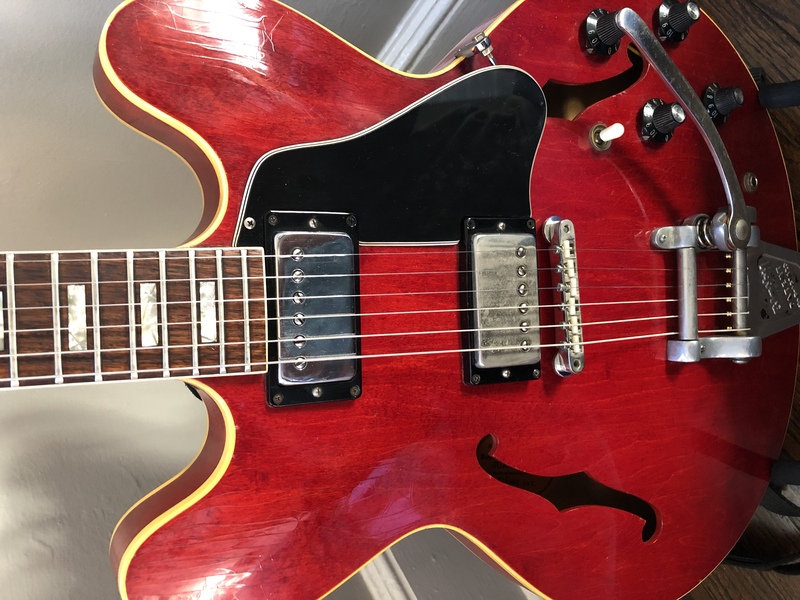 Chrome is to hardware what poly is to guitar finishes. I understand why makers use both — they’re bulletproof. That said, I’ll take nickel and nitro — and the wear that goes with them. (A year later) hi again Charlie. I’d love to hear your take on this rare one. Luckily, the owner posted nice detailed pics which should help your diagnosis. Every gold cover I’ve seen has nickel under the gold. 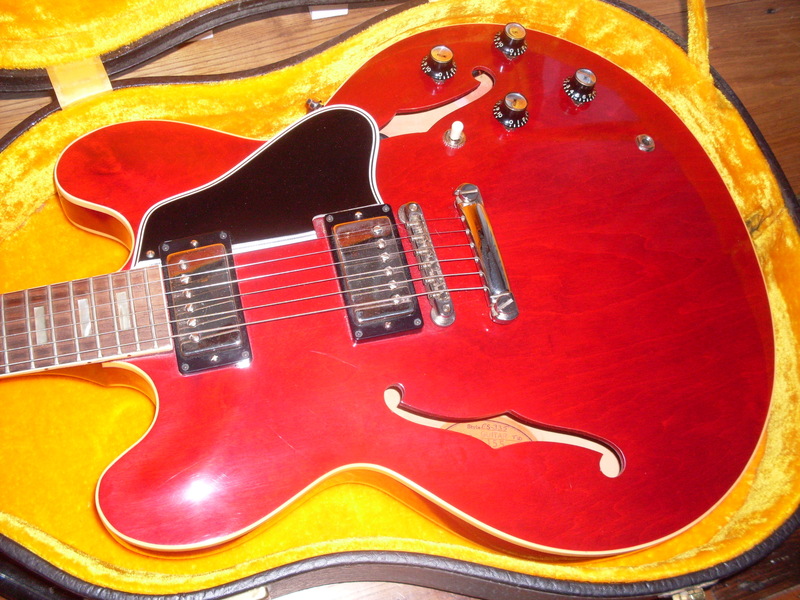 But I don’t see a lot of post 65 guitars. I’m pretty sure I commented on the forum. I thought the Bigsby B5 was original. 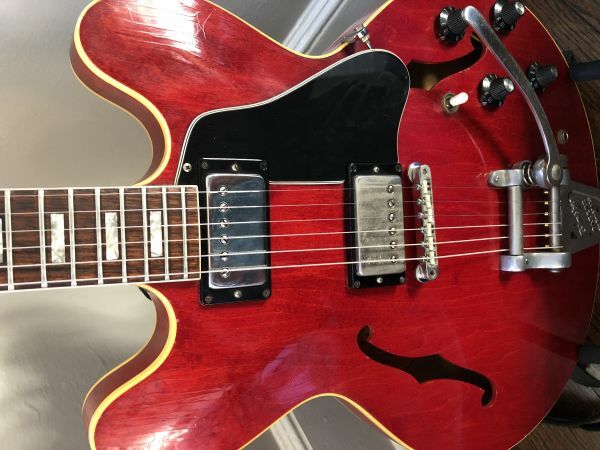 Hi, I recently got a 1967 335 and it appears to have a nickel pickup in the bridge and a chrome pickup in the neck. Is it possible they were still mixing parts on the factory in ‘67? Thanks. nickel part to go in mid 65.